Square up your outfit with a luxe fabric shirt. 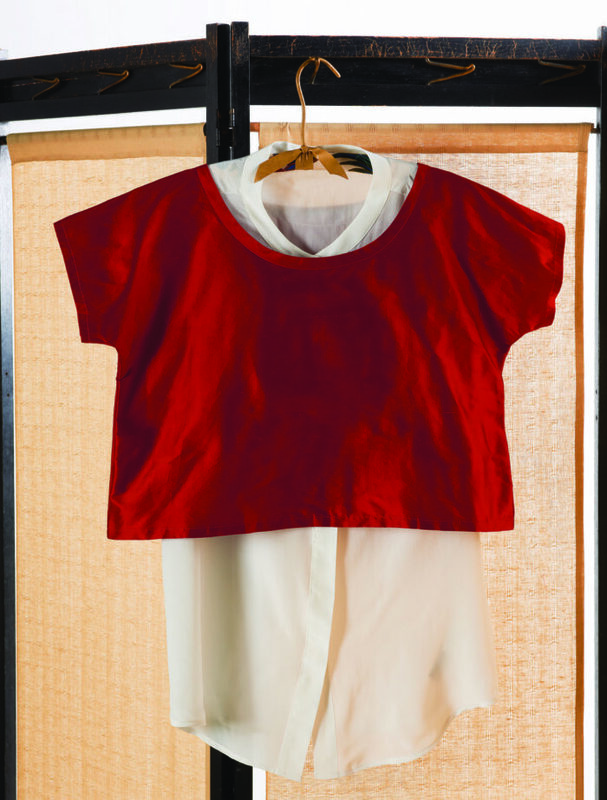 Silk dupioni gives this boxy T-shirt a luxurious look. Bold, boxy T-shirts in opulent woven fabrics are all over the runways this season, and they couldn’t be simpler to make. It takes just a few steps to draft the pattern and, since the construction is simple, you can whip up several in an assortment of fabrics. Some fabric suggestions include silk shantung, boiled wool, faux leather or Ultrasuede, or even materials encrusted with beads or sequins. Think luxe fabrics with body to accentuate the boxy shape. Woven fabrics generally have little or no stretch, so plenty of ease is added—for slipping the tee on and off and for ease of motion while wearing it. The neckline also has a gentle scoop, so it’s big enough to go over the head. It’s best to measure yourself in front of a mirror so you can see the tape measure while standing straight. Since each pattern piece represents one quarter of the body, you need to divide some of the measurements by 4 or 2 to draft the pattern. 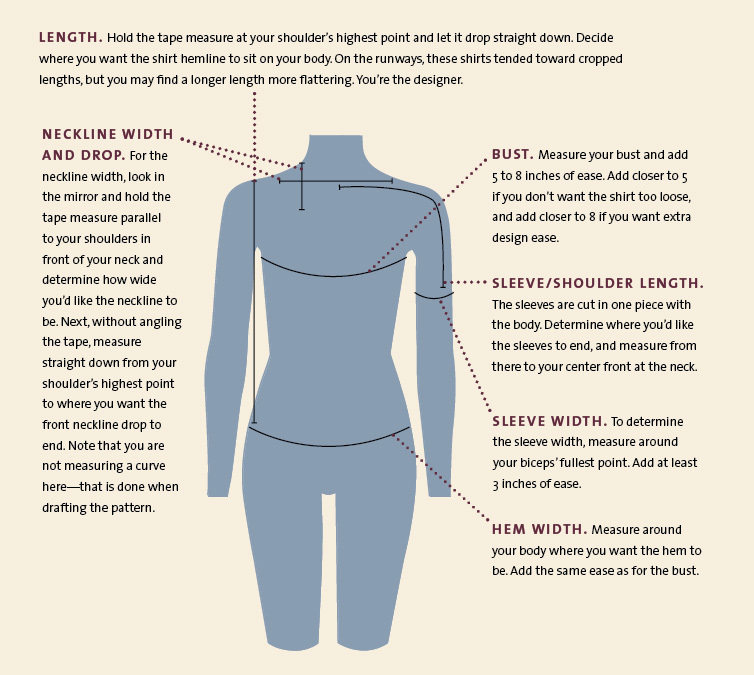 Divide the bust, waist, and hip/hem circumferences by 4. Divide the neck width and sleeve opening by 2. These are the final numbers that you’ll use for each measurement as you make the pattern. This top’s relaxed shape is easy to draft with just a few steps. Start with a large piece of pattern paper. Be sure to use the numbers calculated on the previous page and not the actual body measurements. 1. Mark the center front, shoulder, and hemline. Straighten the pattern paper’s left edge and label it Center front. Measure and mark the shirt’s length along the center front, leaving a few inches of pattern paper above and below. Next, draw two lines perpendicular to the center front, at the top and bottom of the line. 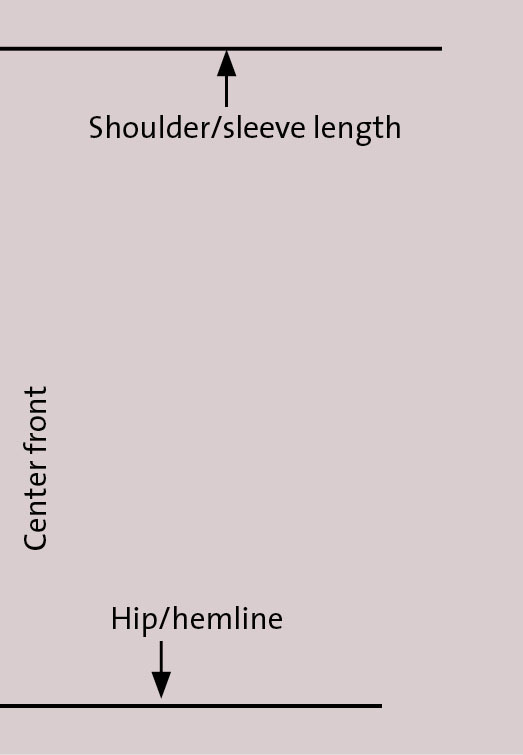 Make the line at the top of the center front the shoulder/sleeve length. Make the line at the bottom of the center front the hem amount. 2. Draft the sleeve. 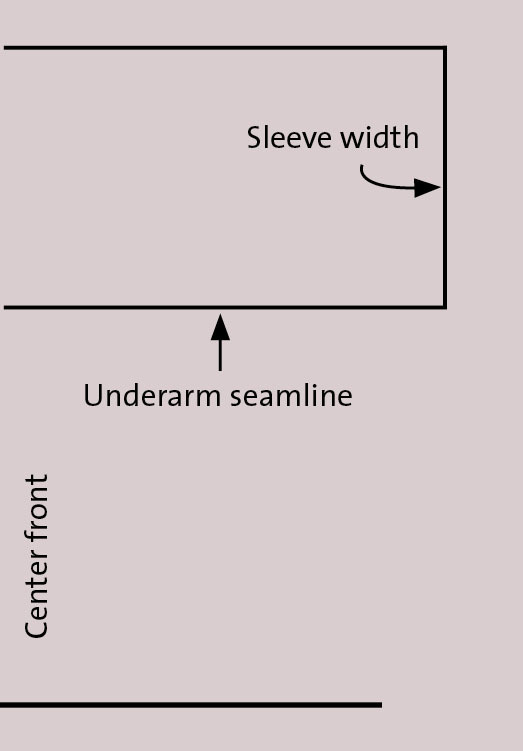 From the end of the shoulder/sleeve line, draw a line parallel to the center front that equals the sleeve width amount. 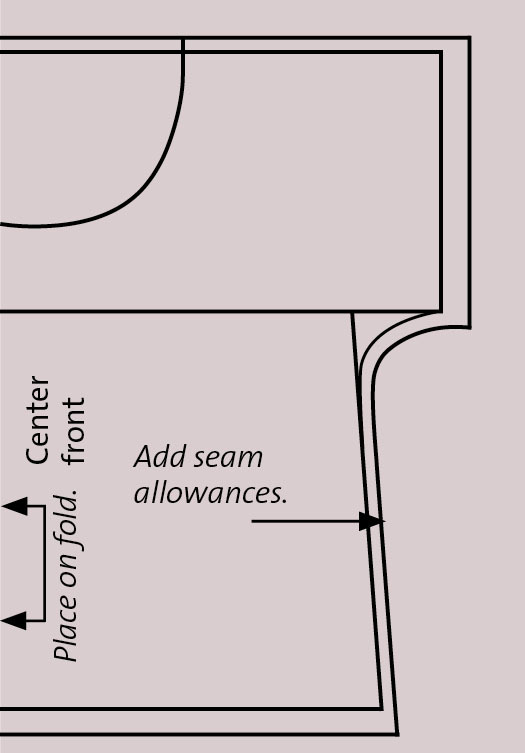 Next, draw a perpendicular line back toward center front; this is the underarm seamline. 3. Create the side seams. 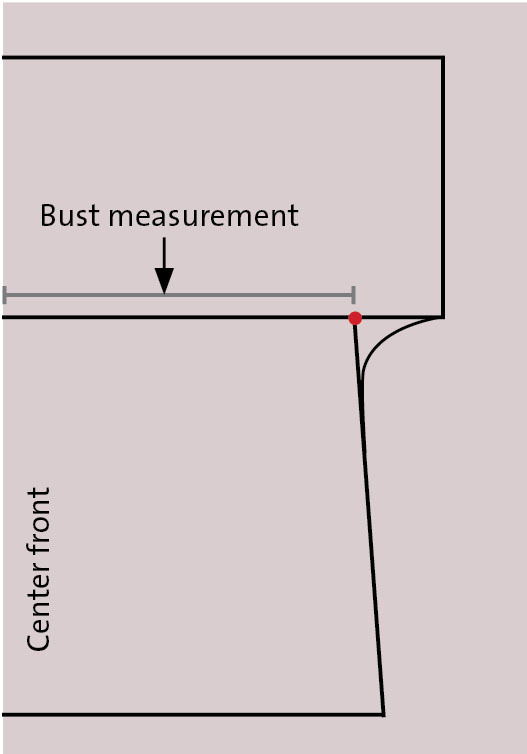 Starting from the center front, mark the bust measurement along the underarm seamline. Connect this point down to the hip/hem point. Using a French curve or other curved ruler, blend the corner where the underarm seam and the side seam meet into a gentle curve. 4. Draw the neckline. Starting from the center front, mark the neck width along the shoulder/sleeve line. Mark the neck drop along the center front, measuring down from the shoulder line. Join the two points with a smooth curve. Be sure the curve starts and finishes at a 90-degree angle. 5. 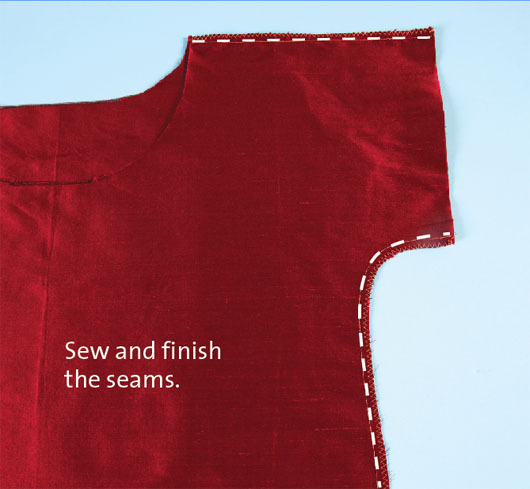 Add 5/8-inch seam allowances to the shoulder and side seams. Then add 1 inch hem allowances to the hem and sleeve openings. Do not add a seam allowance to the neckline. Write “Place on fold” on the center front line. 6. Make the back pattern. Cut out the front pattern and trace it onto another sheet of paper for the back pattern. 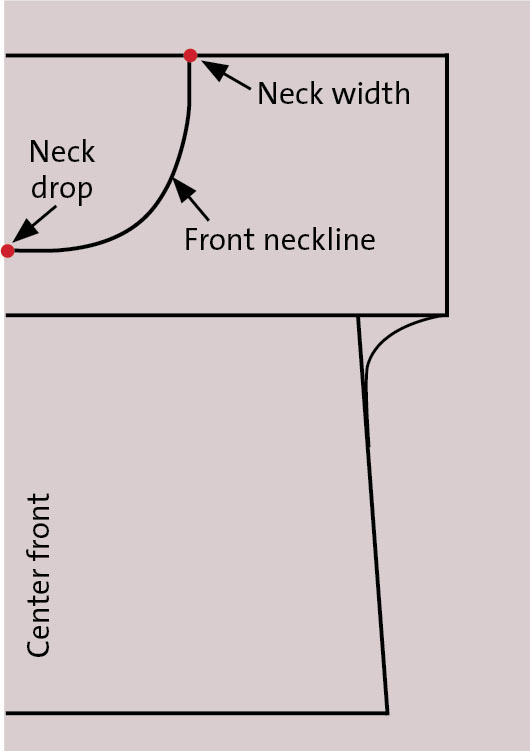 The neckline is the only area that is different from the front. On the back pattern, raise the neck to about 2 inches from the shoulder line, and redraw the neckline. Cut out the back pattern. Label the back piece and indicate Center back. Write “Place on fold” on the center back line. Once the pattern is made, there are only a few steps left to construct the top. 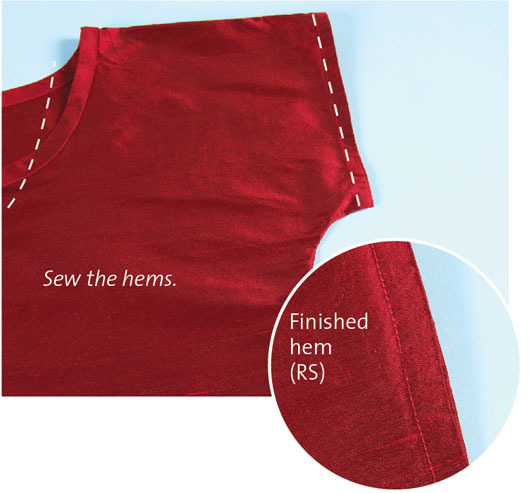 If you’re making multiple tops, cut them out all at once, and then sew them using an assembly line approach. 1. Cut the shirt front and back. Place the pattern center front and center back along the fabric’s folded edge. This creates two full garment pieces. Cut a 2-inch-wide bias strip equal to the neckline circumference plus 1 inch to finish the neckline edge later. 2. Sew the seams. With right sides together, sew the side seams using a straight stitch, and finish them with a zigzag stitch or serging (note: boiled wool generally does not ravel and, therefore, does not need to be finished). Sew the shoulder seams in the same way. 3. 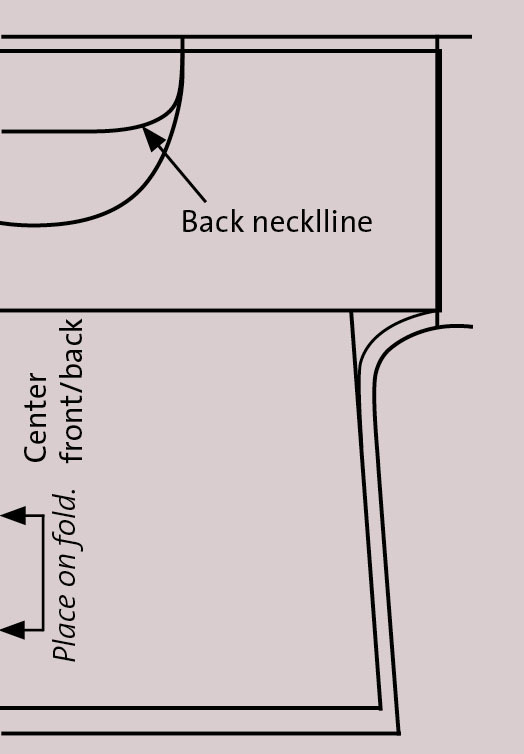 Finish the neckline with a self-fabric bias tape. 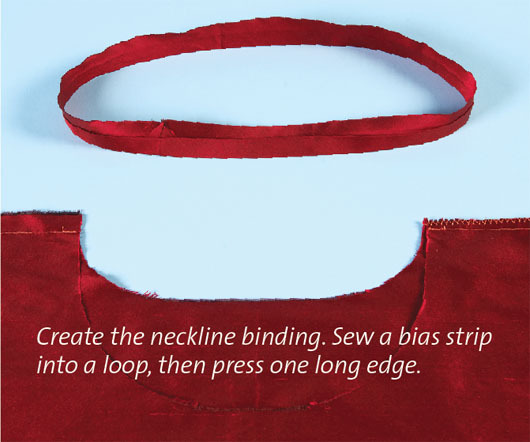 With right sides together, seam the bias strip’s short ends together to form a loop. Fold and press under 1/2 inch on one long edge of the loop. 4. Sew the binding. Pin the right side of the bias tape’s unfolded edge to the neckline’s wrong side, distributing the bias tape evenly, and sew with a 1/2-inch seam allowance. 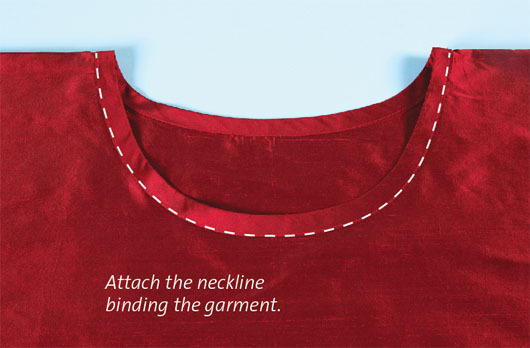 Wrap the bias tape over the neckline edge to the right side, and pin with the folded edge just covering the first seam. From the right side, topstitch along the binding’s folded edge. 5. Hem the sleeve openings and bottom hem. Use a 1/2-inch, double-fold, topstitched hem or a blind hem. On the pattern front, draw the new seamlines just as you want them to look when finished (the lines can be straight or curved). It is helpful to make a test garment and draw the lines directly on that, to get a better sense of how they fall on your body. Once you’ve settled on a design, cut the pattern piece apart on the line(s) you drew. Tape scrap paper to each side of the new seam(s), and add seam allowances. Now you can mix colors, textures, and fibers to create new variations on this versatile look. Author Cal Patch teaches sewing and design, and sells her one-of-a-kind creations. Visit her website at CalPatch.com. This article first appeared in the Threads publication Quick Stuff to Sew, Winter 2012. Photos by Sloan Howard and illustrations by Kat Riehle.